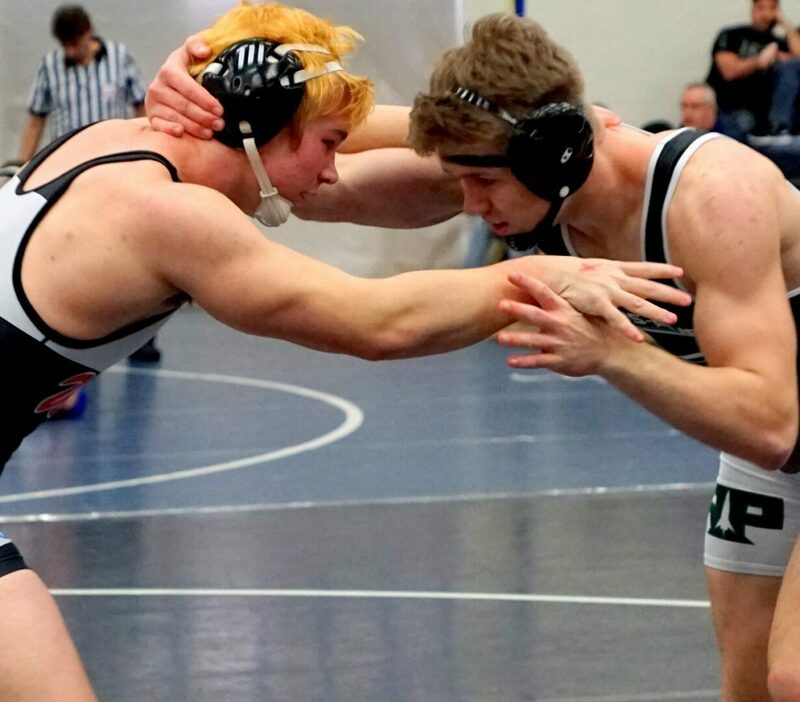 MUSKEGON TOWNSHIP – Reeths-Puffer wrestler Hunter McCall could have made a serious run for a state championship this weekend in the 189-pound weight class. After all, that was his weight class last season, when he finished eighth in the state in Division 2. 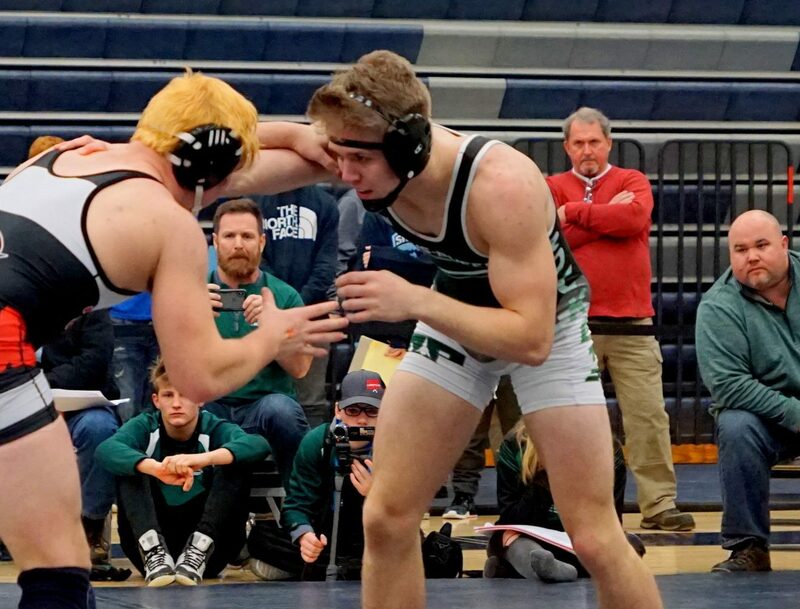 But the Reeths-Puffer squad had another very good wrestler at that weight this season – Gerrit Andrus – who is also a close friend of McCall’s. So McCall happily moved up a weight class, to 215, where the competition is obviously a little bigger and harder to move around. But that hasn’t made any difference for him. He’s had a great junior season, posting an outstanding 42-1 record and winning city, conference, district and regional championships at 215 pounds. Now he enters this weekend’s Division 2 Individual State Finals at Ford Field in Detroit ranked third in Michigan in that weight class, and is considered among the favorites to win the title. The bottom line is that McCall is a great high school wrestler, regardless of what weight class he competes in. McCall says he’s not worried about the competition at 215 pounds, even if he’s a few pounds lighter than some opponents, because other factors are more important than bulk. McCall is the son of Jim McCall, a three-time state qualifier for Reeths-Puffer back in the day, so it’s not surprising that he took to the sport and started wrestling at a very early age. He said his dad has been a constant presence throughout the years, helping him excel at every level of wrestling. Jim McCall comes to most Reeths-Puffer practices and works out with Hunter, as well as several of his teammates. 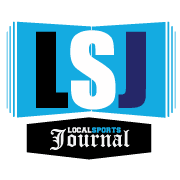 In eighth and ninth grade McCall demonstrated his elite potential by winning back-to-back state championships in the Michigan Youth Wrestling Association. “Winning in the eighth grade was the first step in my goal to win at the next level,” he said. As a Reeths-Puffer freshman, McCall finished third in regionals in the 171-pound class and qualified for the state finals. Last season he again finished third in regionals, at 189 pounds, and finished eighth in the state. But this year he broke through by winning top honors at regionals, which was the highlight of his career, at least so far. Now he thinks he has a great shot to become a state champion. And he has a lot of motivation to go out and earn that honor, for himself, his team and his school. 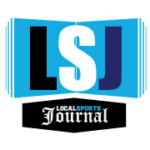 McCall and four teammates – including Andrus – will join 43 other local wrestlers who qualified for the state finals. Reeths-Puffer wrestling coach Matt Brink has never had a state champion in his 13 years on the job, and he’s more than ready to break that drought. He thinks McCall has a great chance to do that this weekend, because of his work ethic and tireless effort over the years.